Want to instantly lighten your kitchen’s look? Take off the fronts of your upper cabinets. (Save them in case you want to put them back on later.) You’ll get that open-shelf look everyone loves without any demo. Use wood filler to repair any holes left by cabinet hardware and consider a new paint color, too. 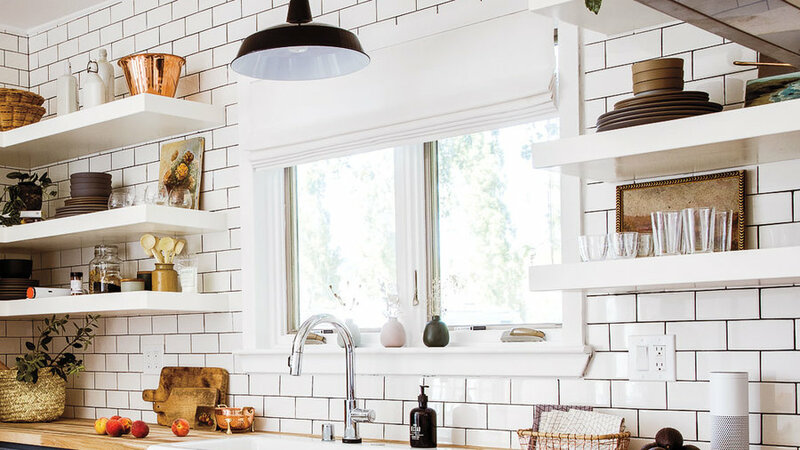 This move is a win-win-win: Your kitchen gets a new focal point, your pots and pans are easy to grab while cooking, and it frees up cabinet space. We love the bohemian look of pots hanging from this long branch, but a hanging pot rack from a restaurant supply store or specialty kitchen store is a classic. Install it where your pots will be within arm’s reach; over the kitchen island is ideal, especially if you have a cooktop there. 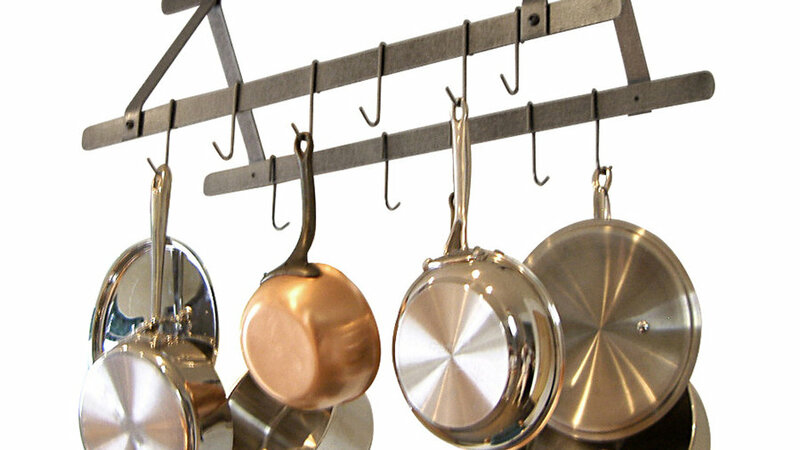 An industrial design with a narrow profile allows this pot rack to fit into almost any kitchen. 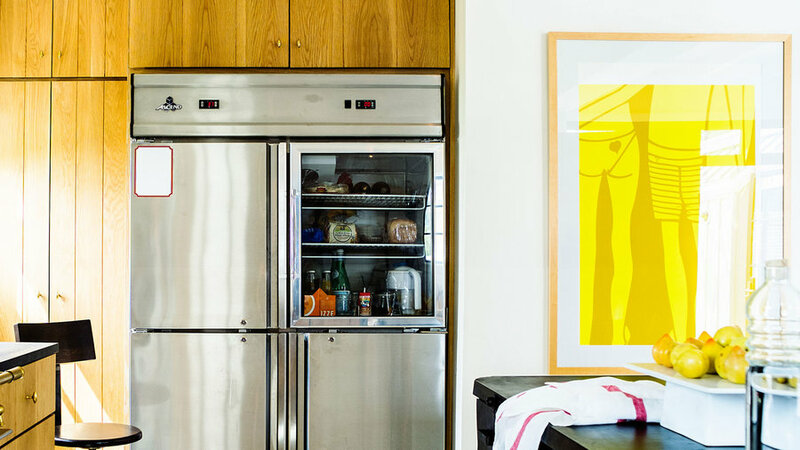 If the kitchen is the new living room, it deserves some art. As long as it’s hung out of range of food splatters, any piece is appropriate (even, or maybe especially, family photos). And in open floor-plan homes, a piece of art is a brilliant way to link colors and styles between the living and cooking areas. Kitchens are generally low on wall space, so if yours doesn’t have room to hang a framed piece, try leaning a smaller one on an open shelf. 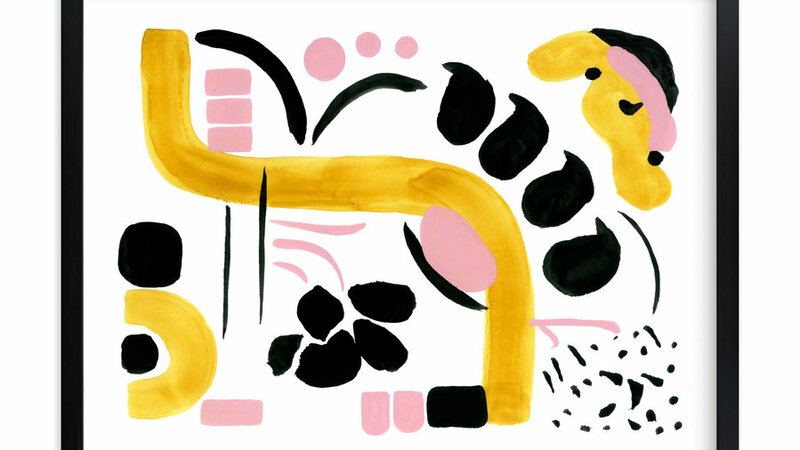 An abstract work by Oakland-based artist Fernanda Martinez riffs on floral and petal shapes. 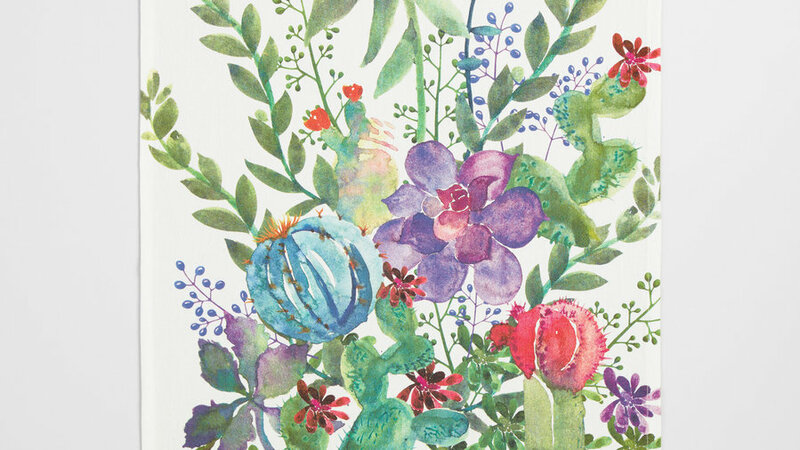 Minted’s large menu of print sizes makes it easy to find a piece that fills your available kitchen wall space, even if it’s limited. In less time than it takes to binge a season of The Crown, you can repaint your kitchen island. Shortcut the painstaking prep by applying a sanding deglosser. It removes any existing gloss (though it doesn’t smooth out imperfections) and readies the surface to take on paint again. White kitchens get some oomph from saturated and deep colors, but even a subtle shift from white to a soft gray adds interest. One of the perennial rules of design is to spend money on the parts of your home you most frequently touch. 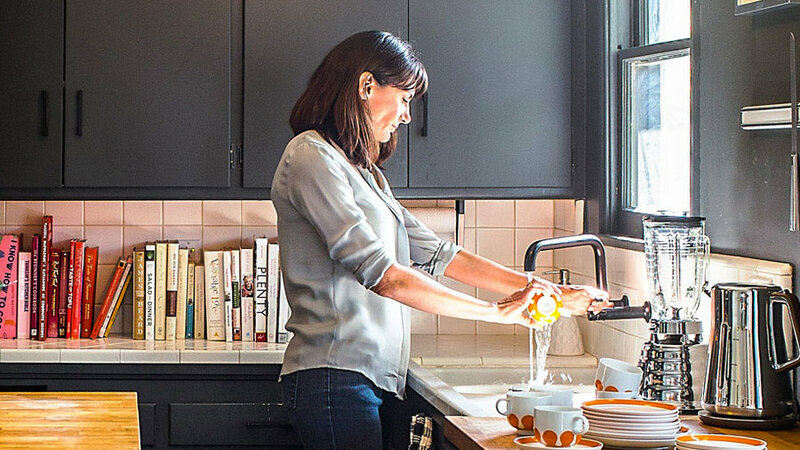 In the kitchen, there are few things you touch more than the faucet. If yours is dated, corroding, or just plain doesn’t match your style, replace it with one that does. A matte black faucet instantly modernizes the sink, but stainless steel is still a hot finish, too. Articulated arms are both functional and on trend. And for extra convenience, many faucets are now, you guessed it, touchless, meaning it won’t get covered in whatever you’re trying to wash off your hands as you turn it on and off. 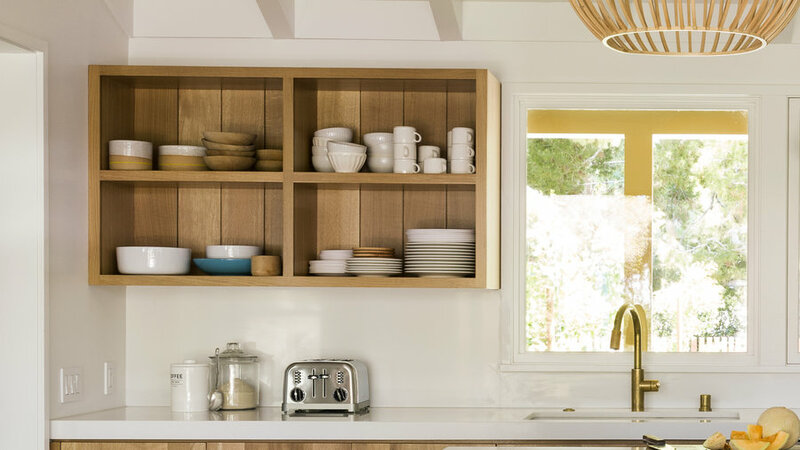 You’ve heard it before: Replace your cabinet or drawer hardware and you’ll completely change the look of the cabinetry. It’s oft-cited because it’s true. Think of hardware as the style signal: A faceted gold bin-pull sends up a flare that says "sophisticated" and "luxurious," no matter your cabinet style. 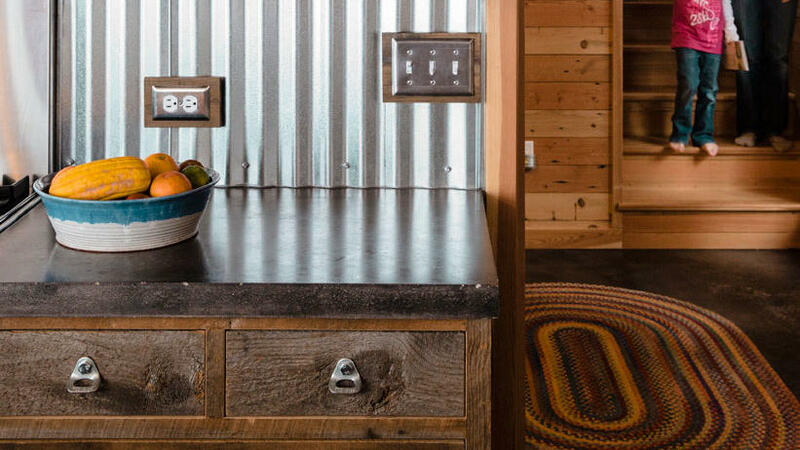 Using upcycled metal parts as drawer pulls sends an artsy-industrial signal. As you browse for new hardware, limit your search to hardware that is installed using the same screw position as the ones you have (single knobs versus bin-pulls versus wide-set drawer-pulls, for example), unless you’re prepared to use wood filler and paint to touch up any holes. And in the case of cabinets, don’t forget hinges! If they’re visible, match them to the new hardware for a pro finish. Picture your last dinner at home. Chances are, you weren’t sitting at the dining table, but at your kitchen island. 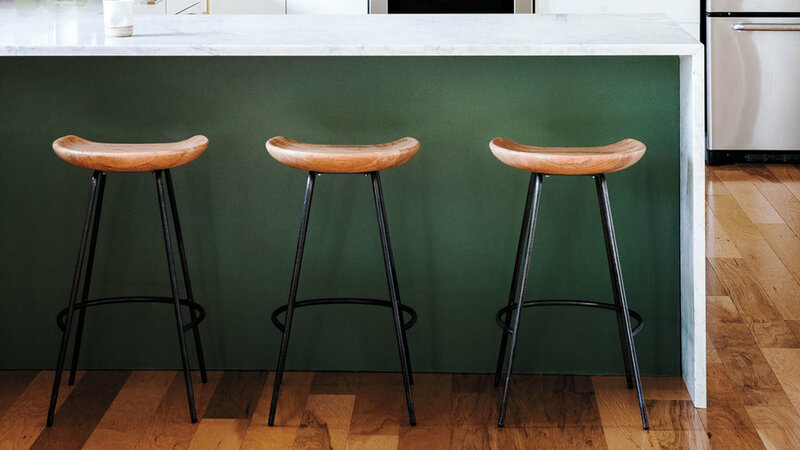 Barstools are the only piece of furniture in the kitchen proper, so swapping them with new ones is transformative. 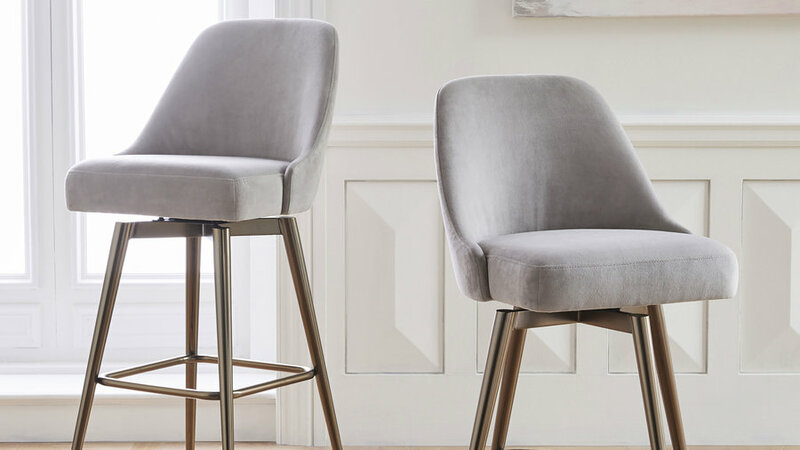 A couple things to keep in mind as you shop: An uncomfortable seat will never get used, so look for upholstered seats at the right height for your counter (standard seat height for a bar-height counter is 29-32 inches), preferably with a back. Nail the open-plan look by choosing a style that echoes something in the living space. And finally, measure about 28 inches from the center of one seat to another to determine how many seats can comfortably fit at the counter. If you’re looking for a way to punch up open cabinetry, try repainting not on the outside, but on the inside. It’s a nice surprise—especially in multi or bold colors—that doesn’t hit you over the head. Try it with glass-front cabinets, too. It turns them into a display case for your plates and bowls. Banish builder-grade fixtures and install lighting that shows your personality. 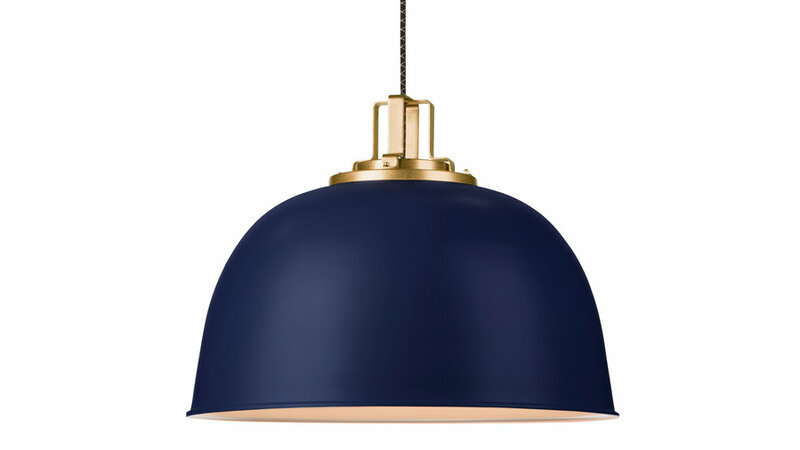 If you have task lighting (usually cans or puck lighting) over work surfaces, then almost anything goes for the pendant lighting over the kitchen island. Without task lighting, the pendant will have to do the hard work, so choose a large fixture—or multiples of a smaller one—with shades that direct light downward. Almost every surface area in the kitchen is hard, so jump on the chance to soften it with window treatments. A fixed Roman shade offers decoration without the chance of getting soaked by splashes from the sink. Go with classic white, or choose a pattern that picks up on accent colors in the kitchen (the color of a painted island, for example). Choose a new accent color, then start swapping: Rearrange your dishes so colorful ceramics are front and center in your glass cabinets. 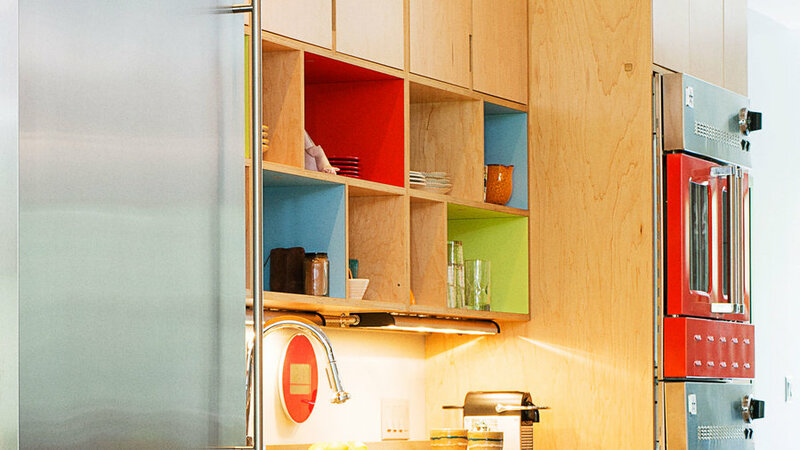 Replace the tea kettle—or any other appliance or dish that sits out on the counter—with one in your new hue. Put a runner on the floor in front of the sink. And don’t forget tea towels! Hang a few on hooks and you’ll have a new color scheme without opening a single can of paint.